Oaks Bottom – Loop hike around the Oaks Bottom Wildlife Refuge – a wetland, meadow and forest complex that is home to a great diversity of birds. Smith and Bybee Lakes – A paved trail through the Smith and Bybee Lakes Wetlands Natural Area, home of painted turtles, eagles, herons and more. Washington Park Loop – A hike through Washington Park, on dirt trails and sidewalks past some of Portland’s best attractions. Paradise Park: A delightful wildflower meadow lies about five miles west of Timberline Lodge via the Pacific Crest Trail. The route dips in an out of several of the southwest side’s big glacial stream canyons. Mirror Lake: One of the busiest trails in the Mount Hood forest, this hike begins on the south side of U.S. 26 about one mile west of Government Camp. It leads to a lake that reflects Mount Hood, as well as to open slopes covered with tasty huckleberries in late August/early September. Elk Meadows: The trail features views of Mt. Hood and wildflowers July through August. Places to Camp Close to Portland: Reserve Ahead of time! L.L. “Stub” Stewart State Park: Nestled in the foothills of the Northern Oregon Coast Range, just 34 miles (55 km) west of Portland. Oxbow Regional Park There’s no better place to play on a hot summer day than the cool, clear waters of the federally designated Wild & Scenic Sandy River. 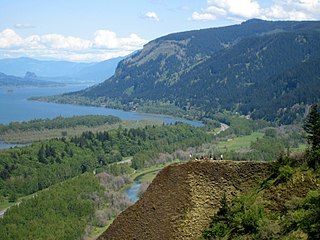 Located 25 miles (40 km) east of downtown Portland. Have Time to Travel to The Oregon Coast? Situated on a sand spit between the Pacific Ocean and Netarts Bay, Cape Lookout State Park provides unparalleled beach access and ocean views 85 miles (137 km) west of Portland. Nearly 10 miles of trails are available to hikers throughout Ecola State Park , situated between Cannon Beach and Seaside. Numerous trails offer something for everyone on and around Cascade Head . Attractions include colorful wildflowers, barking sea lions, windswept meadows, old-growth forest, and breathtaking ocean views.